Integrated IoT solutions for all your needs. We provide complete turnkey software solutions across the energy value chain that go beyond monitoring. Our real-time reporting, diagnostics and insights optimize your energy consumption helping you lower costs and boost business growth. Always have a finger on the pulse of your infrastructures. Use the data to make your enterprise more effective, more efficient and more profitable. Ready to untap the true power of your business? Your complex infrastructure of plants, machines and processes generates a large amount of widely varied data. 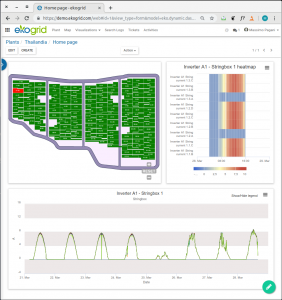 ekogrid is a flexible device agnostic platform that helps us tailor data monitoring solutions for your enterprise. We help you collect and store data generated from any type of device, machine or facility in our powerful, fast database. We process large amounts of data quickly and efficiently from across your infrastructure. So you can easily watch real-time or pull up data with your browser from anywhere. 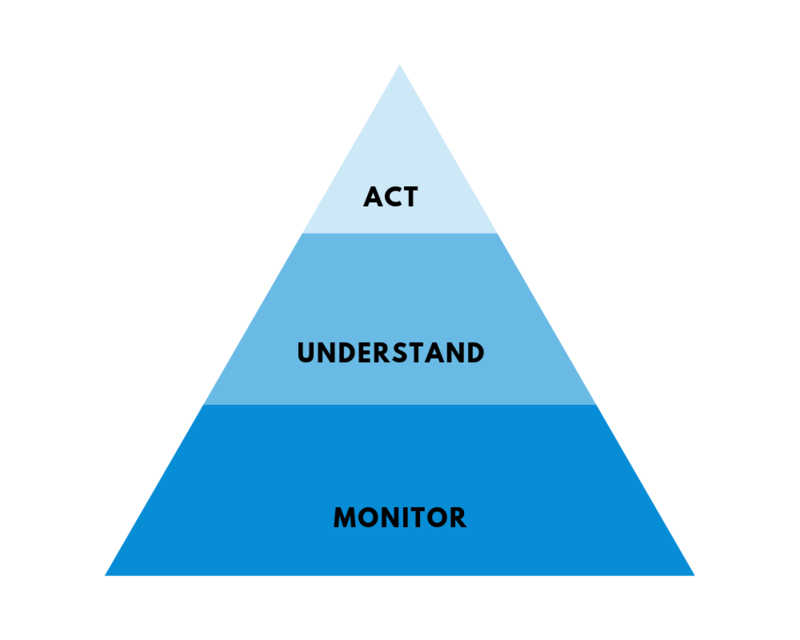 You want to know what you need to know, when you need to know it before problems arise. Anomalies, performance drifts, hidden defects and leakages may be difficult to detect and eventually may turn into expensive failures. Sensors, devices and machines are prone to wear and tear and break down over time, leading to false alarms or misleading information. 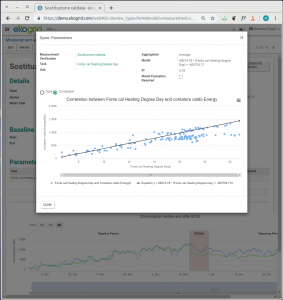 ekogrid helps you streamline your data to help you discover efficiencies and prevent costly disruptions. Our comprehensive platform gives you real-time diagnostics, filtering out false alarms and showing you the faults and failures you can take action on before they get out of hand. We provide a full-featured CMMS (Computerized Maintenance Management System) which streamlines maintenance activities by managing trouble tickets, technical documentation storage and exchange, messaging, calendars and more. Easily visualize performance data in ways that help you quickly assess risk, reduce costs and make better business decisions. Whether you run a factory, a PV plant, an asset portfolio, a water public utility or an infrastructure, you have a lot to keep track of. You have got hundreds, if not, thousands of elements all operating on their own systems. Nothing is streamlined and nothing is connected to each other. 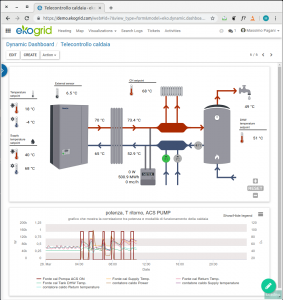 ekogrid syncs up, controls and helps you command everything in one easy-to-use platform. We help you operate thousands of different types of devices, machines, plants and facilities – no matter where they are in the world. Receive data from all your remote assets and devices, and actively control anything from a distance in a completely secure way. You are generating an enormous amount of data every day. It helps you keep track of everything from your energy and resource consumption, production, operations, leakages, errors, and more. But with so much data it is often impossible to interpret in a way that is truly useful for your business. 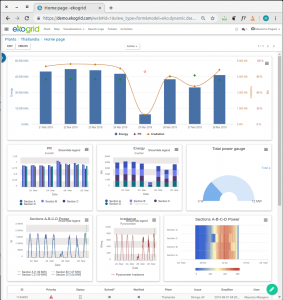 ekogrid provides an effective data analytics tool for your enterprise. We help you correlate data across your different devices, plants and machinery; analyzing them in-depth; and comparing them with baselines and computing KPIs in real-time. So when you have your data in hand, you know how to make the most effective decisions for your business, enhance your performance and reduce operating costs. We help you solve problems, eliminate bottlenecks and detect the hidden value in your daily operations, to help your business grow. 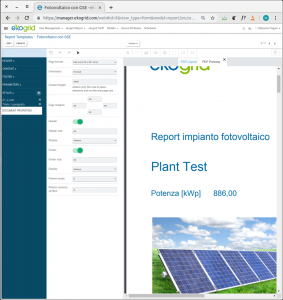 ekogrid automatically executes all of these tasks for you. We help you retrieve the data you need from your internal databases or import them from external sources; then correlate and compute the KPIs you need. You get automatically-generated, visually stunning reports on demand with total accuracy. And you can easily personalize the reports for each of your customers. We help you eliminate tedious, time-consuming tasks and the risk of human error. Giving you an accurate aerial view of your daily operations on demand. You have acquired the energy and operational data you need. Now you need for it to interface with the databases and information systems across your company. Operational data ranging from cost accounting, business intelligence and your management control systems all need to be imported. But the process of data transfer is manual, tedious and error-prone going from spreadsheet to spreadsheet. No matter your industry or infrastructure, you need a solution for your business requirements – with little to no deployment time. 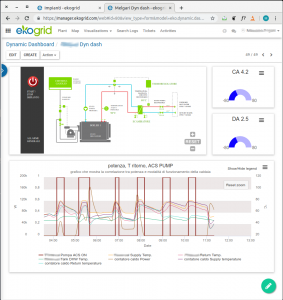 ekogrid’s open system is capable of exchanging data through a broad range of protocols, languages and APIs. And using RPA technology, we can even create ways to exchange data with systems without standard interfaces. Thus, we can create a solution that easily integrates with your existing software. From automated billing to production lines to portable devices, we will synthesize and connect all of your different devices in one easy-to-use platform. Our lightweight integration and horizontal approach will have you collecting actionable data and optimizing performance in no time. The fourth industrial revolution is upon us. With interconnected facilities and machines, virtualization, big data, energy efficiency and more, there are more and more ways for us to connect and grow than ever before. But how do you tap into this and make it work for your enterprise? 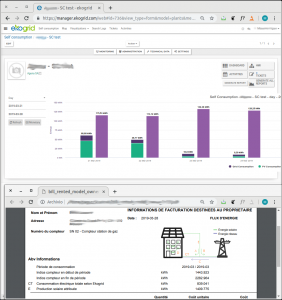 ekogrid offers an easy way for industrial companies to transition into the digital landscape. We create cloud-based Robotic Process Automation solutions to connect your various devices and automate your processes. As a result, you have total visibility across your infrastructure, and more efficient, flexible and cost-effective processes. The industrial age is just beginning. And we will help you scale your company into the future. Your company infrastructure and processes are completely unique to you. Therefore, you need a fully custom-built software to cover everything you need. But it is unfeasible and costly to build something with the full capabilities your enterprise requires. 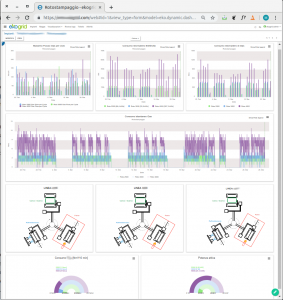 ekogrid is the only software platform on the market with a powerful, full-featured software developing environment that is user-friendly for our customers. We can migrate your legacy systems to the cloud or develop modules, features and integrations 100% tailored to you. Or we can show you to develop, maintain and manage custom-built applications yourself. Our full-featured software lets you or your customers develop tailor-made modules and applications for whatever features you need most. Hence, you can empower your enterprise with the technology you need to streamline your operations.